I am an Aubrih shipper, and I've been one since I saw them together in the video for "What's My Name," their first collaboration of many. At that point, Rihanna was already established as a pop force to be reckoned with and Drake was still the up-and-coming Canadian rapper who used to be on Degrassi. But there was something honest in their on-screen chemistry — and it has been that way ever since. 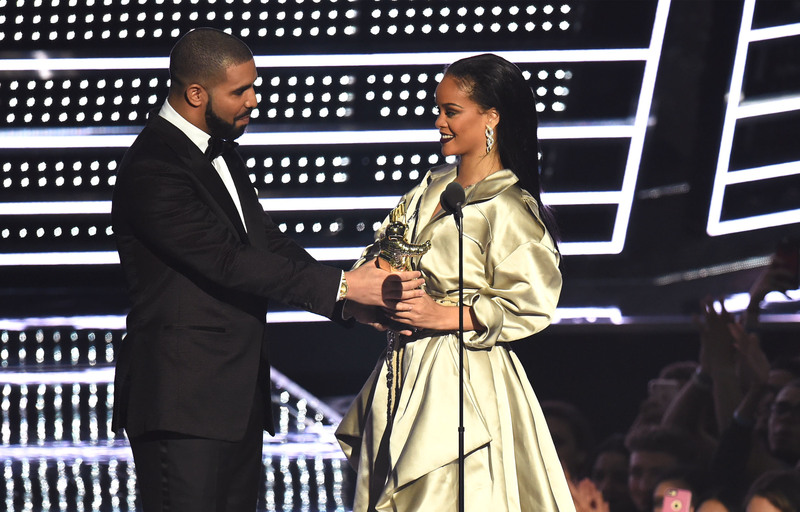 After years of speculation, Drake and Rihanna seemingly confirmed their romance during the 2016 VMAs, and many of us finally got what we wanted. Now, just a few months later, rumors are already circling that Aubrih is over. As a fan of these two crazy kids, I refuse to believe this is actually the end, and have my reasons as to why Drake and Rihanna will still end up together. As I saw it, Rihanna and Drake seemingly opening up about their relationship was a beacon of hope for anyone who has had a similar on-and-off or rocky relationship. I think everyone has had "that person" at least once in their life: You know, the one you just love so much, but the timing is never right or you are such good friends that it is tough to fully let go of them. While it is impossible for any of us to know the true inner workings of Aubrih's relationship over the years, from what has been seen in the media, these two have had many highs and many lows, but there is always a lot of love. Drake even told New York Times that Rihanna treated him like "a pawn." That must have been a bad point, but they were both very young when this happened, and they've grown together over the years. That instance didn't stop them from continuing to collaborate and move forward with their friendship. "We love the woman who hasn't changed since day one ... She's someone I've been in love with since I was 22 years old ... She's one of my best friends in the world." As outsiders looking in, we can't be sure that their "unusual" relationship isn't one that works perfectly for them. Aubrih is not a normal couple and never will be. They are both superstars on their own path, and Rihanna is known to be fiercely independent. It seems like everything has always worked against them to not be together, in the traditional sense, but they have a connection that is unmistakeable. "Everything he does is so amazing. He’s so talented that you kind of just trust that it’ll be right ... We know each other, so I know that whatever he writes is going to be honest, and it’s going to make sense to where I’m at in my life. That’s the difference. We know each other." You see, they know each other — she even said it twice. Concerning the dating rumors, who is to say that they don't have an open relationship that they both consent to as adults? Perhaps when they're each touring the world, they are fine with each other hanging out with other people, knowing that they will have each other in the end. Honestly, no one else else but them could actually understand that kind of life. Maybe I have the inner hope that true love will always eventually prevail. (Or maybe I just watched The Notebook, and so I know that while Allie almost married someone other than Noah, they got back together in the end because love is real.) As history has shown in the the relationship of Rihanna and Drake, they always find each other again, and one day, the timing might just be perfect.